2nd floor condo at Marathon Country Club East! Private corner unit with canal views from the spacious balcony! Dockage for up to 25' boat ($200/year for dockage). Unit was updated in 2010 with new tile floors, new kitchen cabinets and sink with Corian counters, new bathroom vanity and new bedroom window. A/C was replaced inside and out in 2018. Unit also has good storage space! Laundry room is conveniently close as well. 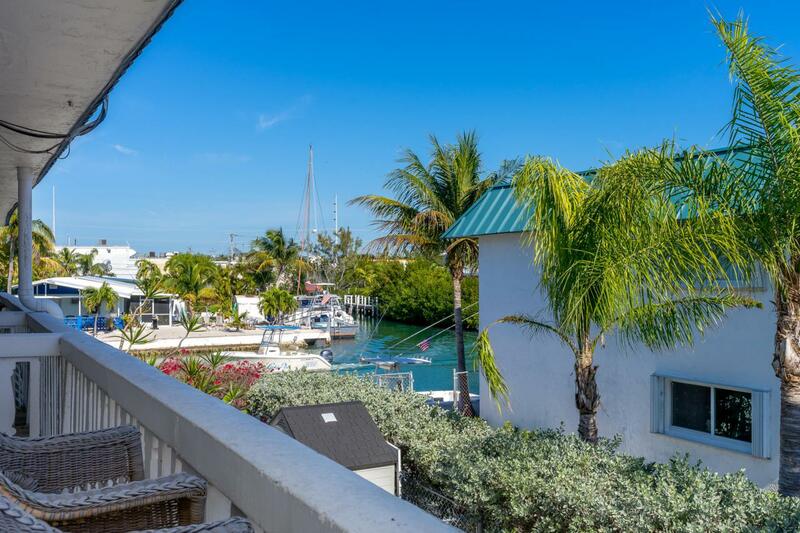 Perfect location in the center of Marathon, close to shopping, restaurants and the beach is just a couple miles away! 30 day minimum rentals with 3 rentals per year or this would be a great long term rental, which are in high demand!